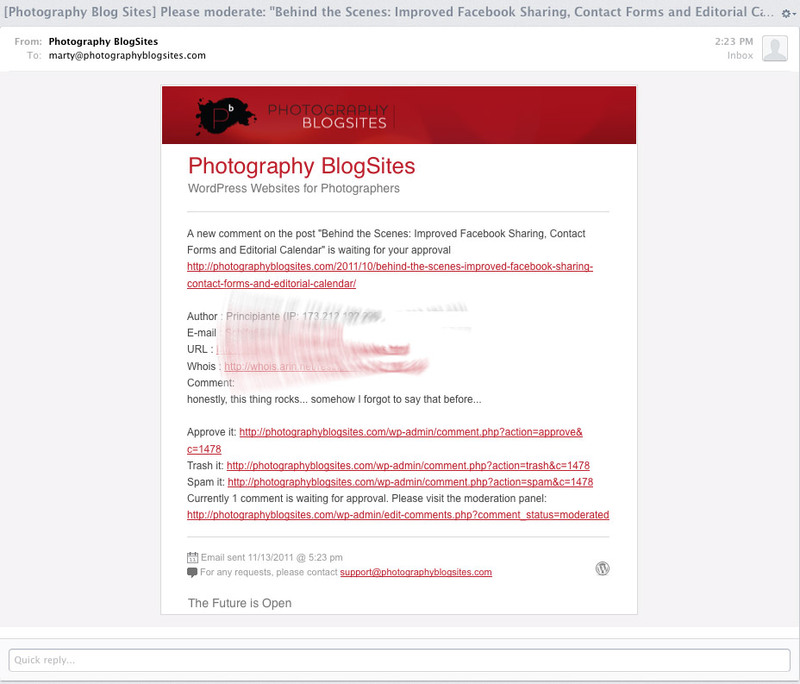 We hear a lot of questions about the difference between Photography BlogSites and other WordPress solutions for photographers. So we thought it would be good to take a minute to explain why the way we do things at Photography BlogSites is a little different than other WordPress or BlogSite options. WordPress is an award winning Content Management System (CMS) that allows you to log in and edit your own content. While it is famous for being a blogging platform, it has grown over the years to become a full website management tool. Our sites use WordPress and allow you to combine your portfolio site and blog into one easily editable service. Until now, the idea of having a WordPress site has meant finding and buying a “theme” or template that determines your overall structure and look. Any theme, whether free or paid, needs to be installed, setup, and maintained. Themes will (hopefully) be built to be compatible with the current version or WordPress. But when the next version of WordPress comes out, themes and plugins are at the very least not prepared for new features (because they did not exist yet when the theme was created) or at worst can break your site because WordPress changes the way they did things. Recently WordPress has stepped up their production schedule and has said they will release a new major version every 3 months. Just this year we have seen versions 3.1, 3.2 and 3.3 is on its way by the end of the year. We provide WordPress as a service – always up-to-date and working, built specifically for photographers. We are an on-call webmaster/support staff and upgrade and test everything so that new versions and features work together without breaking a site. So the “theme” is actually a very small part of what we provide. But even so, one of the benefits of our system is that you can access all our themes and SnapShots and switch between them at anytime. Any new themes or features are available to you the second they are released as well. We have upgraded WordPress from versions 2.8 through the current 3.2 since we started developing the sites. Users never noticed because we tested on a beta site, then upgrade overnight, only when it is all working. We have constantly upgraded our themes, added plugins and enhanced features as we went. But again, we only make new changes live when they are fully tested and ready so that users and your visitors get a seamless experience on the sites. Our pricing is comprised of many factors. We mostly wanted to consider all of the things we are replacing: a portfolio site (some are $39/month just for that – and maybe built in Flash), a WordPress blog (free-$199 for a theme) a hosting account ($60-$100/year even for really bad shared hosting) plus maybe hiring someone to set it all up ($200-???). Then a year later, you might need to hire someone to fix it when WordPress is upgraded and the old theme breaks. When you compare it to all of that, we can confidently say that we are one of the most affordable options out there. And when you try and put a price on peace of mind…well, that might be priceless. Posted In: How we do things. 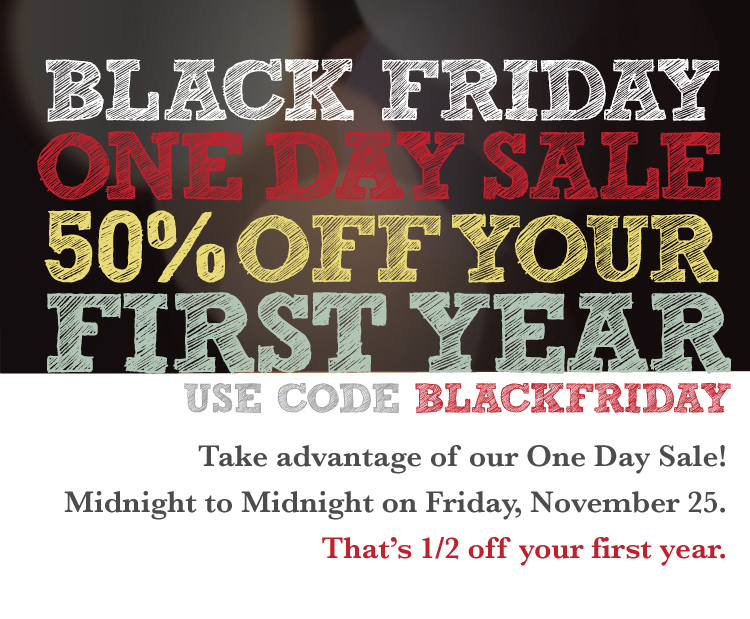 Our Black Friday Deal is On! Starting at Midnight on Friday, November 25 through Midnight we will be running our first ever Black Friday One Day Sale! 50% off the regular subscription price your first year – that’s your first year for $199.50. Membership will renew at the regular rate of $399. 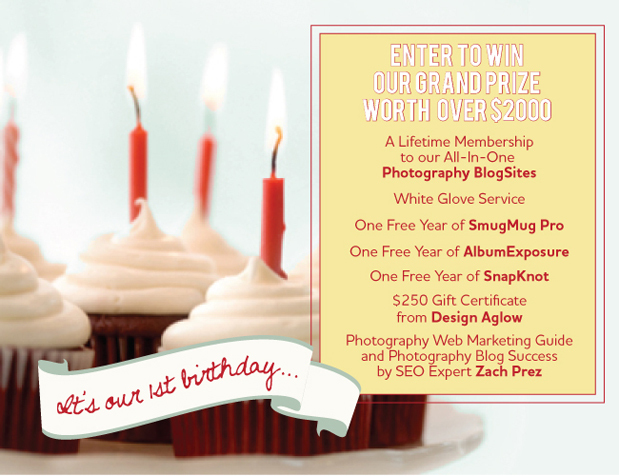 If you are a SmugMug Pro member your membership will renew at $299. If you were thinking about updating your web presence to an All-In-One, search engine optimized, WordPress and HTML5 portfolio site…today is the day! If you are tired of your portfolio site not being available on iPads or Mobile devices, you are in luck. *Offer available for new accounts only. Announcing HTML Emails for everyone! 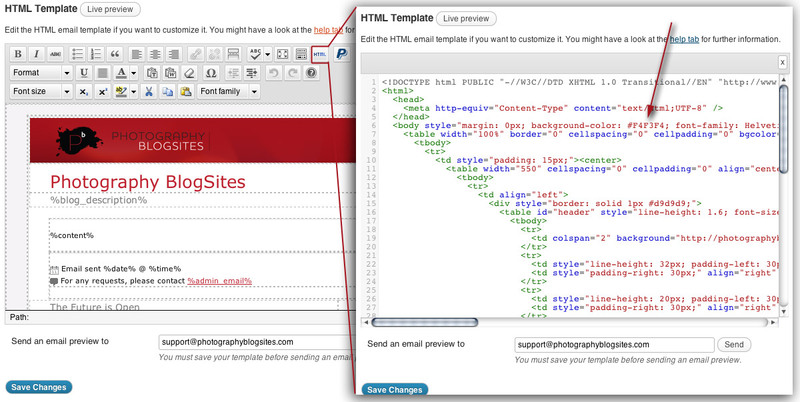 We recently replaced all the plain text emails that get sent by the site with great looking HTML emails. Or you may have noticed that comment notifications coming from your own BlogSite have a new blue title and more attractive message area. Here is a recent one from my personal site, which is of course a Photography BlogSite. Each BlogSite can customize the HTML template allowing you to adjust colors, upload a logo, add custom messages, contact information or a signature. Look under “Settings->WP Better Emails” and you will find a text area, similar to the post and page editor. You can simply type straight into the editor, or switch to the HTML mode to see colors and add sections. It does take some HTML knowledge, but if you look at line 6, you can find the font and color choices for the whole thing. All you need to do is find the hex code for the colors you want. Make a great first impression with your contact forms! The same HTML template will be used by the contact forms on your site as well. Why would you care if someone fills out a contact form and the message that is sent to you looks nice? Well… did you know that the contact forms can send an auto-response to anyone who fills it out? Sending a prompt response that looks great, sounds professional, and gives you a chance to make a great first “branded” impression to potential clients. To send an auto-response to anyone filling out your contact form, simply check the box for “mail 2″ and adjust the settings and message as you see fit. You will see that is is already setup to be sent to the person who filled it out.